Went with a few friends I used to work with today. The OG was especially packed today, and people everywhere were downing endless bowls of pasta. This is probably the reason why. 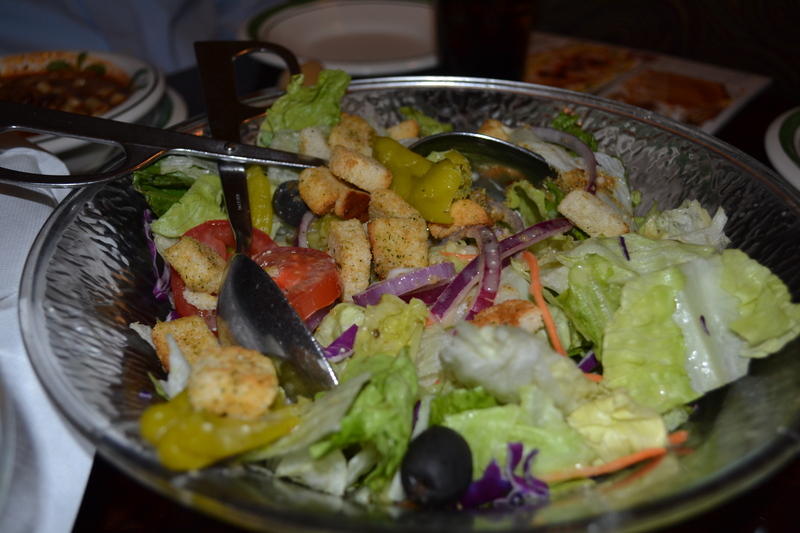 Four person party means you get an especially huge bowl of salad. 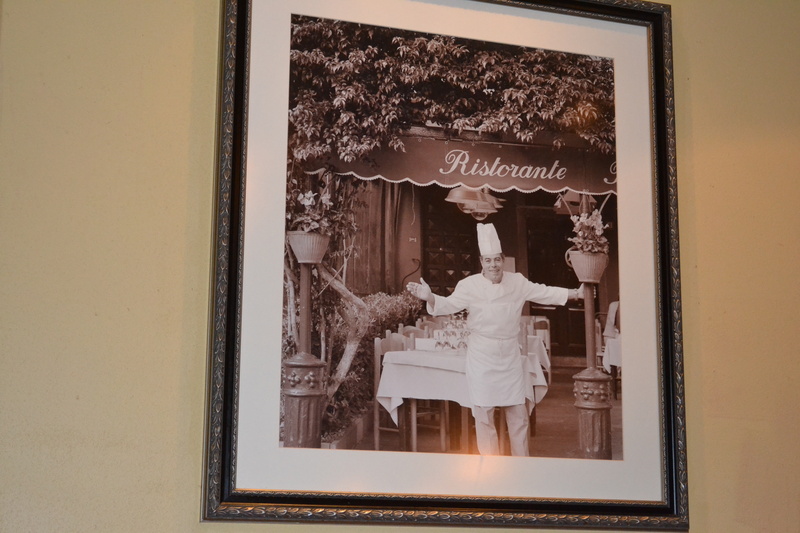 We were seated in a very nice booth next to this photograph of Niccolo Rossi, the founder and chef of the original Olive Garden in Florence, Italy. Legend has it that Niccolo was born in 1939, but his mother was unwed and her family threatened to disown her if she attempted to keep the baby. Knowing that she wouldn’t be able to provide a good life for little Niccolo, his mother decided to leave him in a nearby olive garden belonging to a cousin of Benito Mussolini. Niccolo grew up as a favorite of “Il Duce,” who taught him much of the business acumen he would later use as his restaurants exploded in popularity. 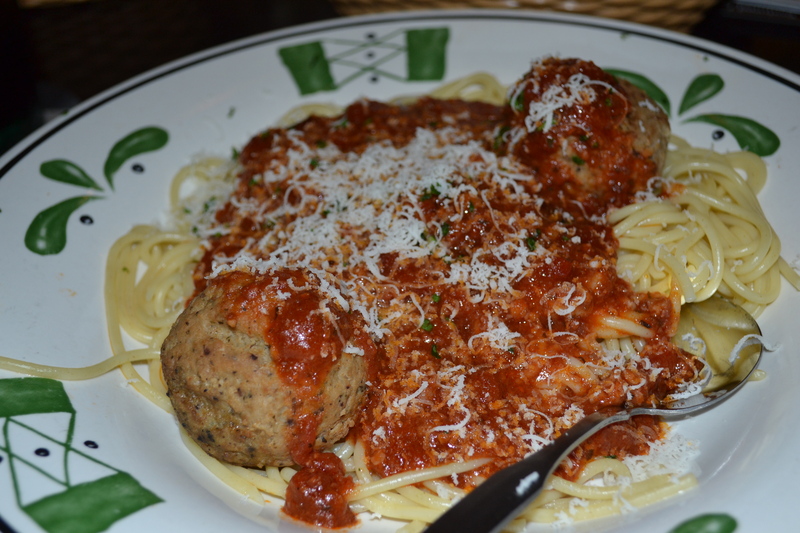 Spaghetti with meatballs. And cheese. Not enough cheese really, but I didn’t want my friends to judge me. The meatballs are really tasty. Surprisingly low in calories too (180). 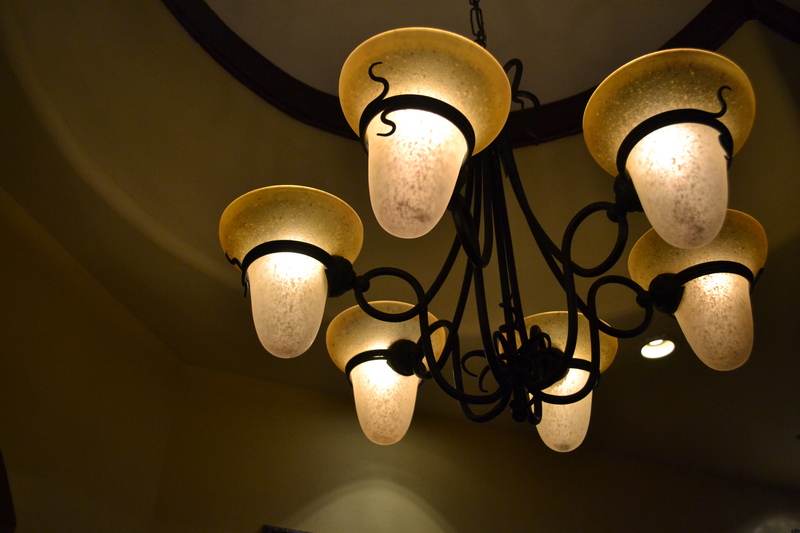 Today we were seated under this chandelier, which my friend Adam astutely pointed out, has lights that are shaped like condom reservoir tips. 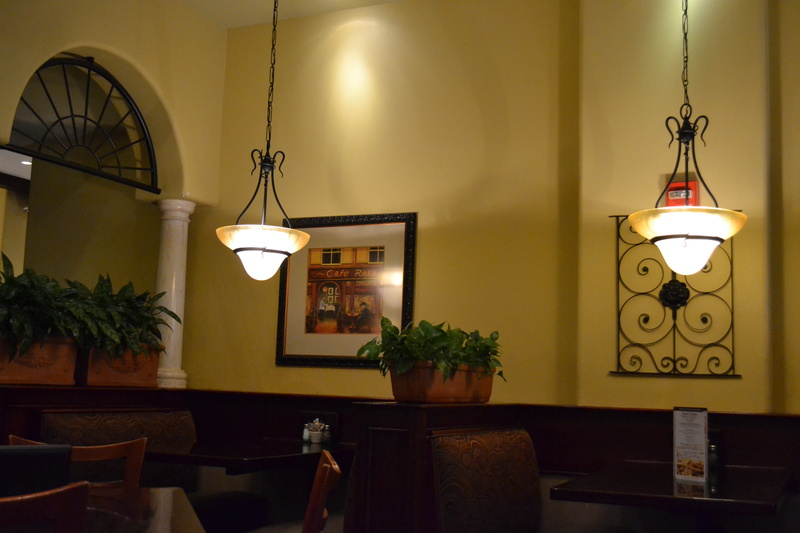 Did you know that the Olive Garden is currently in a fierce fight to maintain their authentic Italian heritage? Activist investors are currently trying to gain control of the company at the company’s annual meeting on October 10th. One of their big complaints seems to be that the servers “lack discipline” in doling out breadsticks. What nonsense. What is an Olive Garden without unlimited salad and breadsticks? Capitalism may be good for the for-profit prison industry, but socialism is the system that Niccolo envisioned when it comes to the allocation of breadsticks.